Ok, let’s photo document this garden thing. Maybe just maybe by officially putting this out there for others to see I’ll be more inclined to keep up with the garden even during the heat of the summer this year. 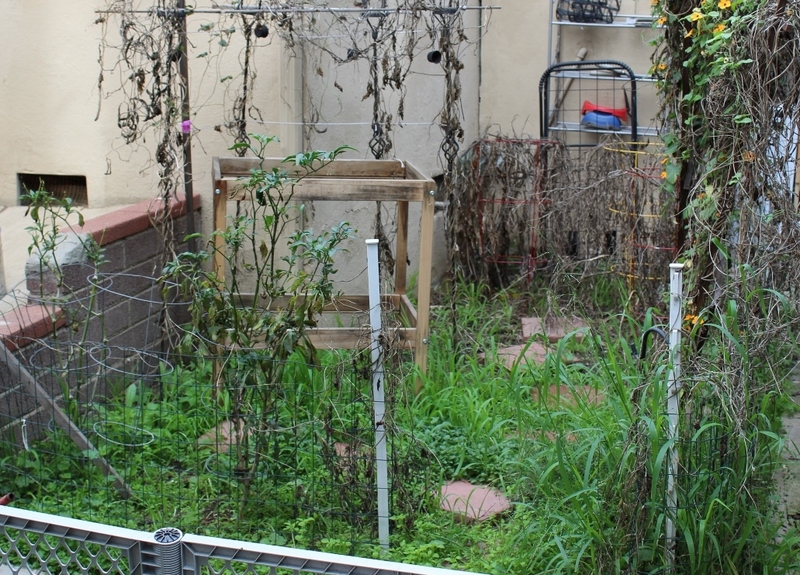 BEFORE: This is what the garden looked like at the beginning of March after sitting by itself since last summer. Good news is that I found some tomato seedlings growing from fallen-and-never-picked-up tomatoes from last season. So no buying new tomato plants or seeds for me! ooh, little tomato seedlings, free of charge! I pulled up all the weeds and grass and plants I didn’t want growing in the garden. Then I bought a couple new things, some rosemary, zucchini, mint, basil and some seeds. I’d also found some marigold seedlings in the garden and transplanted them to a pot. I transplanted my out-of-control thyme plant to a pot as well. 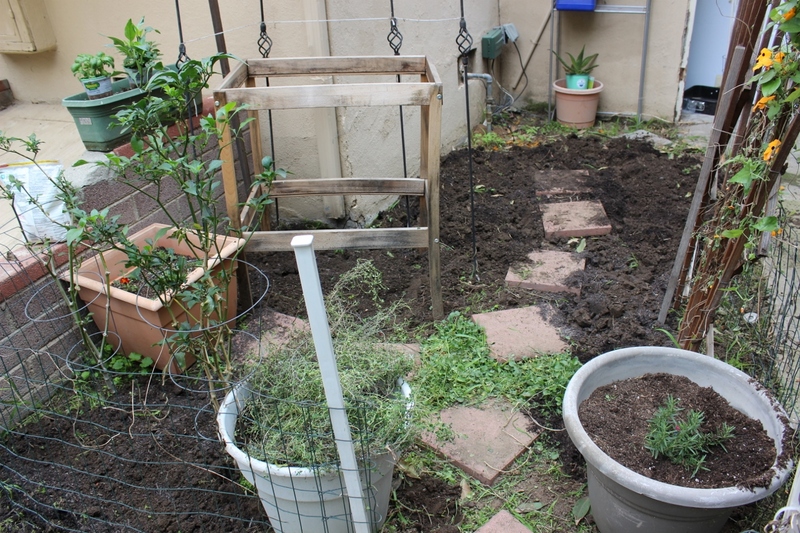 Then, because I tend to have clay soil, I tilled up the soil a bit and mixed in some Amend to help the soil. 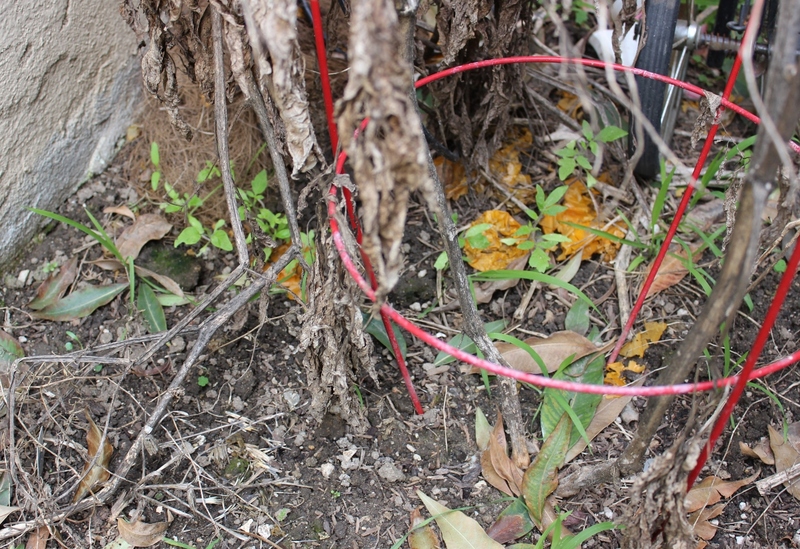 Next, in trying out some Pinterest trick (see here for pin) to supposedly help with weeds, I put down newspaper. Hint: It helps if you spray a light mist of water on the newspaper after putting it down to keep it from blowing away. 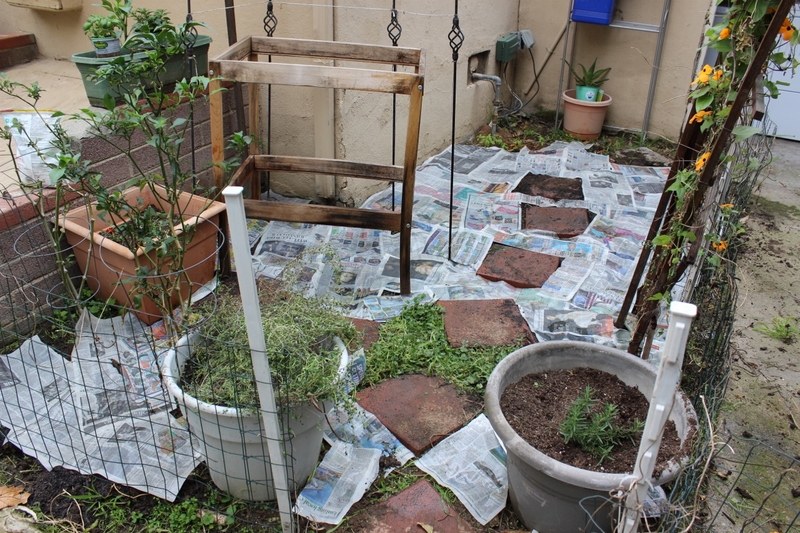 I covered the newspaper with potting soil and then plated. For potted plants, I dug a hole through the newspaper in order for the potted soil to fit. For any seeds that need to be planted at a deeper depth, I just poked a hole through the newspaper layer and planted the seed in the hole. I’m curious to see how this newspaper thing will work. I guess we’ll find out! Hey, as I was going through the old newspaper, look what I found! In Los Angeles Times! 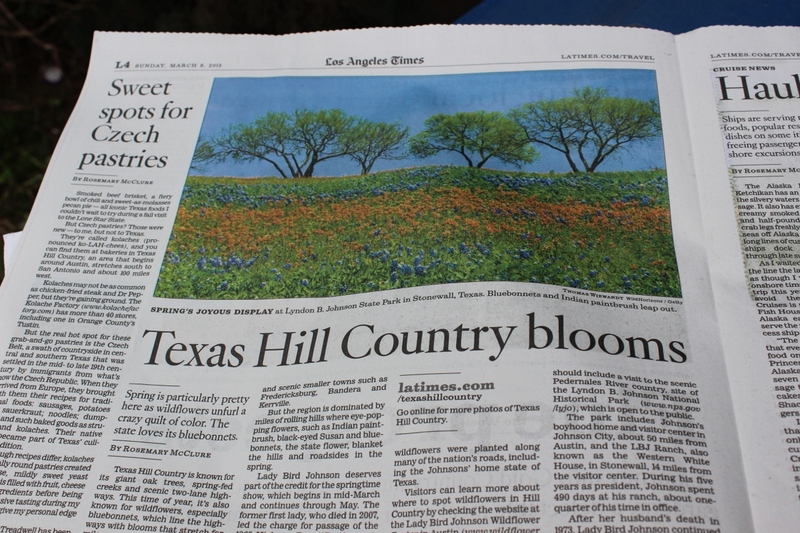 Awww, made me miss central Texas this time of year and good ole bluebonnet pictures. L.A. Times shout out to my hometown area! Here’s what my garden looks like now. Since I’m limited on space, this year I went for grow-it-all-together feel. Meaning that I am growing several varieties of plants in the same area. You might call it “messy”. 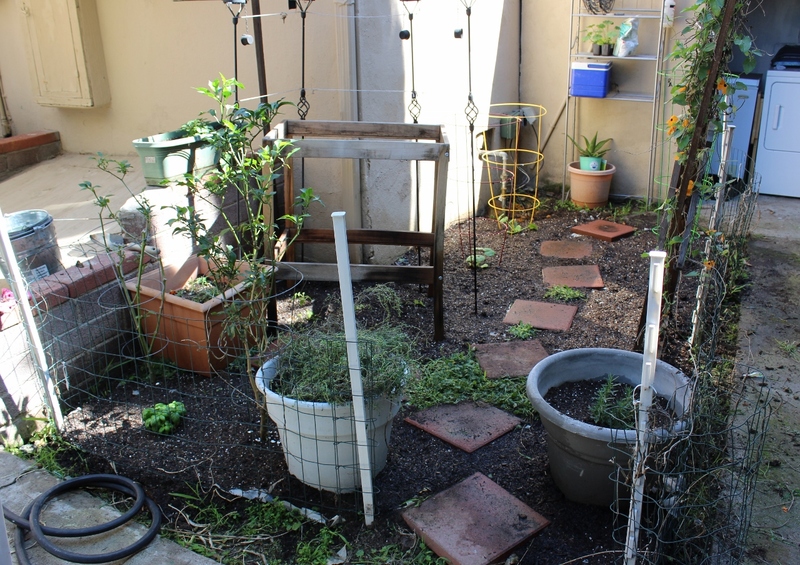 Jalapenos/Basil/Okra/Chives have all been planted intermingling. Tomatoes/Basil/Carrots are planted together. Corn/Zucchini/Green Onions in he same area. Spaghetti Squash (a new experiment for me!) and Spinach. Green Beans (free seeds taken from last years dried plants) with Carrots. Sage and Rosemary in the same pot. I feel compelled to make a positive comment on something you wore after yesterday’s crazy! My garden (if you want to call it that looked just like that except I have raised beds. But my surprise was a head of lettuce growing! Yay! Looking forward to seeing more of your garden. Your blog makes me want to blog again! I saw your post on Money Saving Mom. 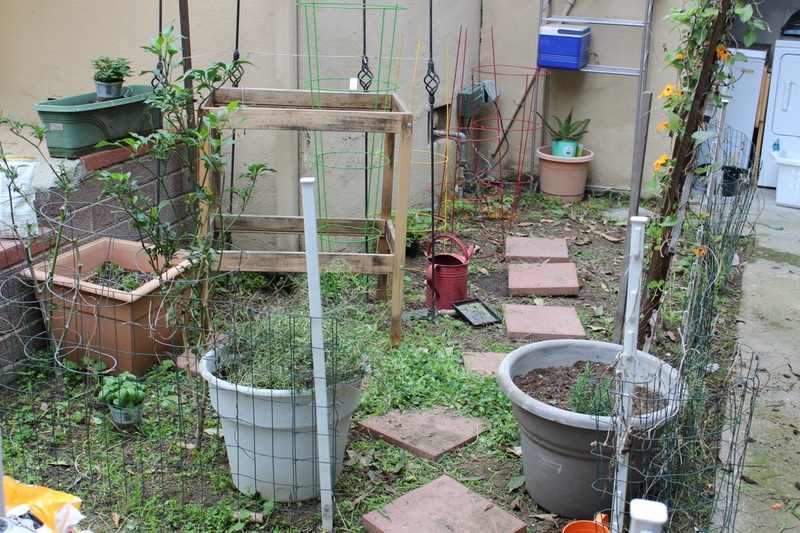 We are planning to downsize and hope to have a small garden, too. Thanks for your posts! I will be visiting more!